BHARATIYA Janata Party (BJP) President Amit Shah claimed that Narendra Modi was the “only” Prime Minister who had responded to terror activities in Pakistan like the United States. 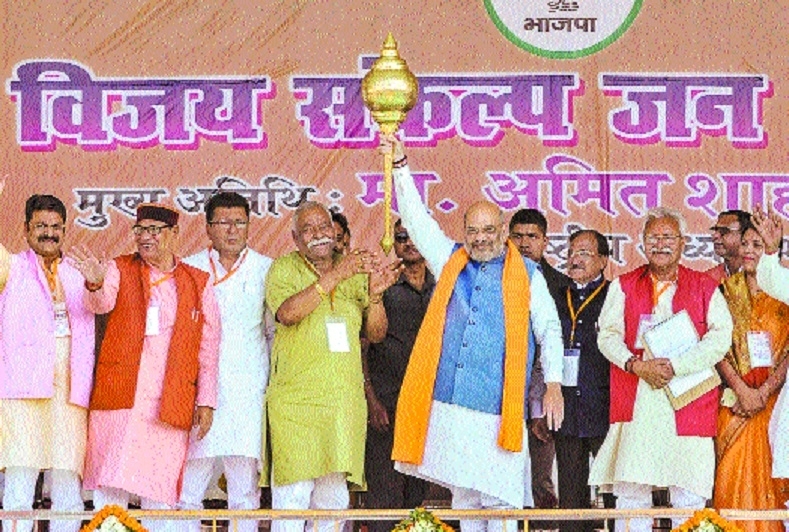 “We attacked Pakistan without any delay after the Pulwama attack, while the Opposition leaders were insisting on negotiation, Shah said at a rally in Uttar Pradesh’s Moradabad district. The BJP chief alleged that the Opposition was insulting the soldiers who died in the Pulwama attack by asking questions on the number of casualties in the Balakot airstrike. Pointing out that Samajwadi Party chief Akhilesh Yadav and Bahujan Samaj Party supremo Mayawati were “enemies” earlier, Shah said they had come together now due to “fear” of Modi. He predicted that the SP-BSP-RLD alliance would fail because “our Government is very much popular by our positive works”. Shah hit out at Yadav, alleging that all miscreants were in the former Chief Minister’s government and crime was on the rise. But during the present BJP Government, he claimed, all miscreants were either in jail or far from the State. Shah said communal violence and land-grabbing incidents, which he said were normal during the previous dispensation, had become a thing of the past and there was peace. HOME Minister Rajnath Singh on Tuesday said there would have been no need for the IAF to enter the Pakistani airspace to hit the Balakot terror camp if it had Rafale aircraft. Addressing a rally in North-East Delhi’s Yamuna Vihar, he said the “miracle” would have been possible from Indian territory. Earlier this month, Prime Minister Narendra Modi said the results would have been different if India had Rafale fighter jets, as he attacked the Congress for its tirade against his government over the aircraft deal.